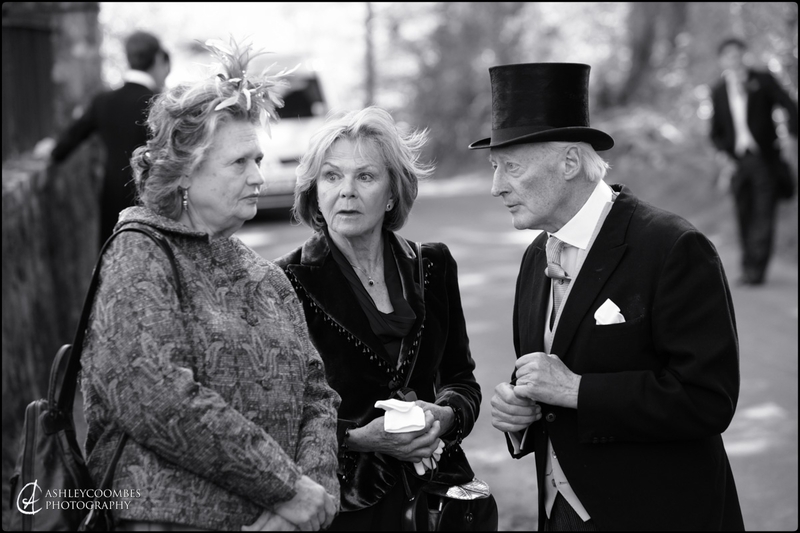 Documentary Wedding Photography. What it means to me. The purpose of this page is to explain what documentary wedding photography means to me and why I’m so passionate about this approach to photographing a wedding and capturing the events and the people in an authentic and honest way. If you like my work and are considering me as your photographer it will give you some insight into how the images are achieved and what you can expect on the day. Priest’s wedding selfie at alter with Stephanie and Mark. 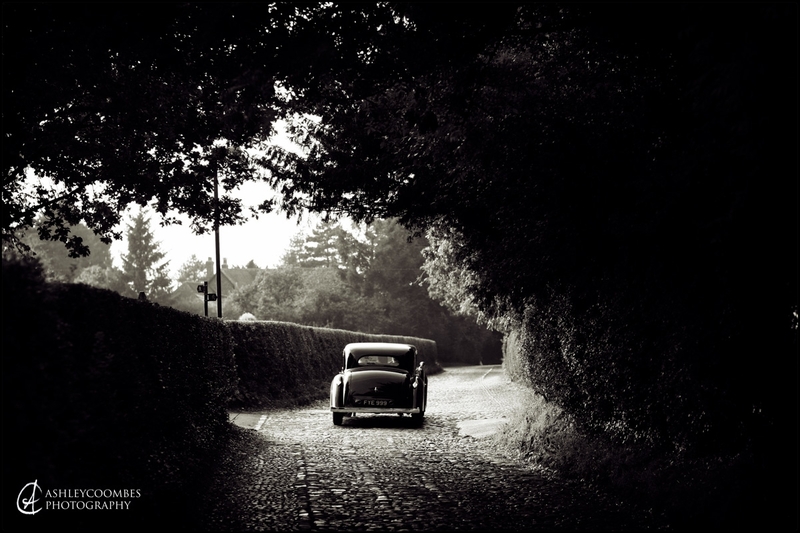 I use pictures to create a narrative, building up the layers of the day and weaving them together to make your wedding day story. 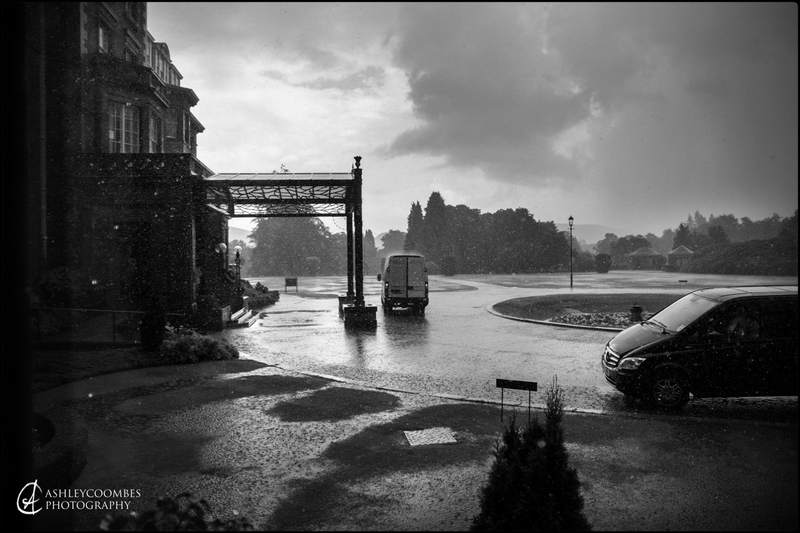 The story will reveal the essence and atmosphere as it really was and requires a very different approach to that of many wedding photographers who have to direct, manipulate and interrupt to achieve their results. 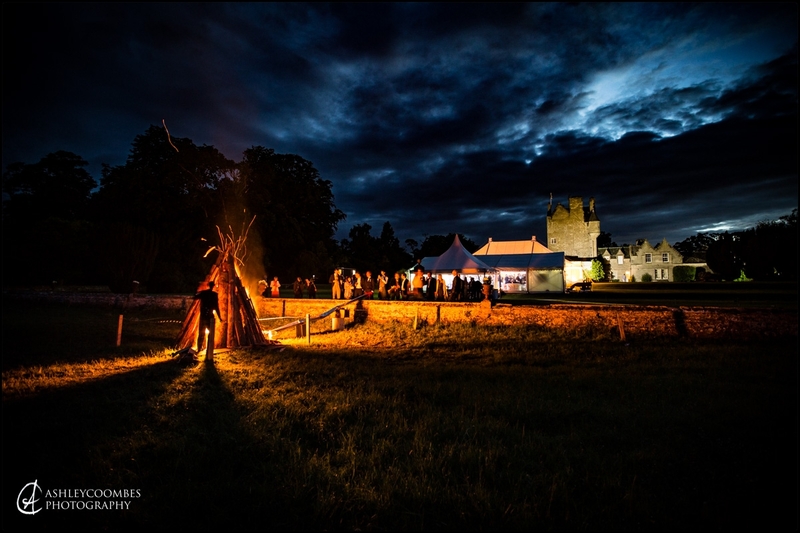 You will see this story telling approach described in various ways in the media: documentary wedding photography, reportage wedding photography or wedding photojournalism. Some people will try to distinguish between these different terms but in essence they are one in the same – telling the story in a natural and unposed way. 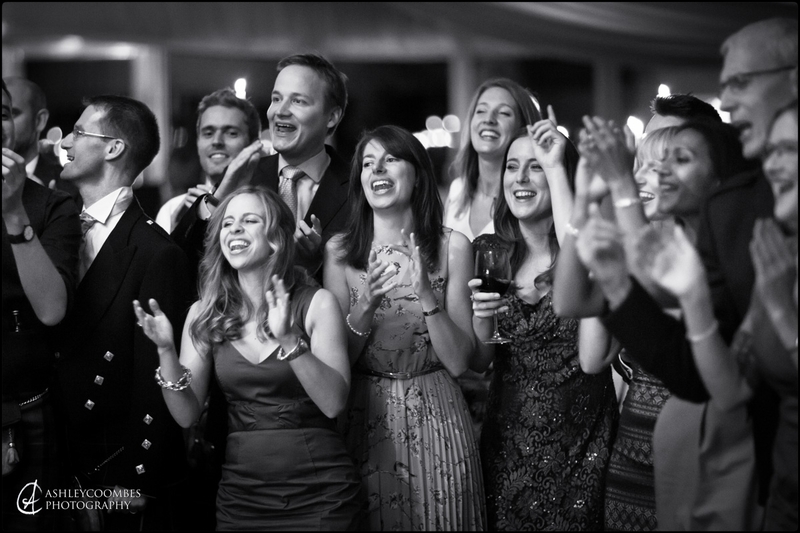 Every wedding is full of spontaneous moments which no one planned and I’m on the lookout for them all the time. 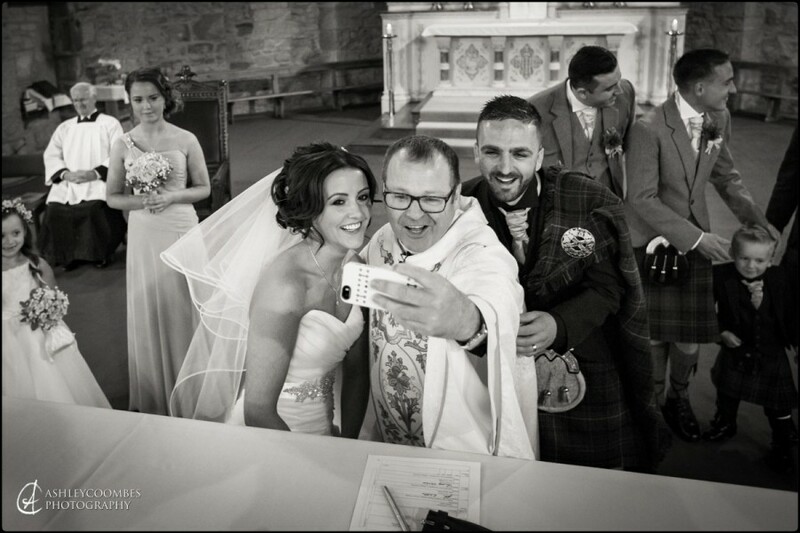 This picture of the priest taking a selfie at the alter was completely unexpected and was over in a split second! The best man and ushers behind hadn’t even noticed it was happening and the minute I saw him rummaging around in his cassock pocket with a twinkle in his eye I knew something out of the ordinary was about to happen. 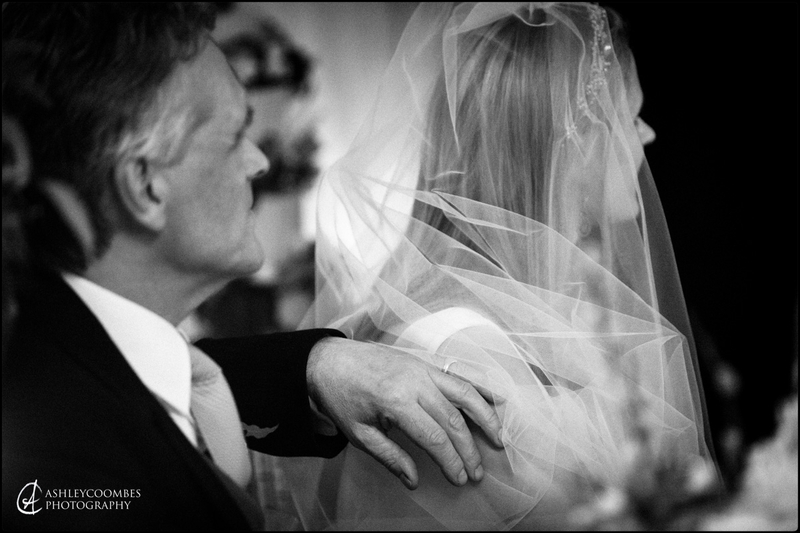 To be done well documentary wedding photography requires skill and experience and for those at the top of the field it has been elevated to an art form. In an effort to join their ranks there are a few simple rules that I have set myself. Gathering her thoughts before the wedding at Pollok House. Don’t direct or interrupt: to capture the energy and emotion of a wedding authentically observe a situation unfolding and document it as it really happens, anticipate the way the composition will come together and push the button at exactly the right time for that moment of magic. 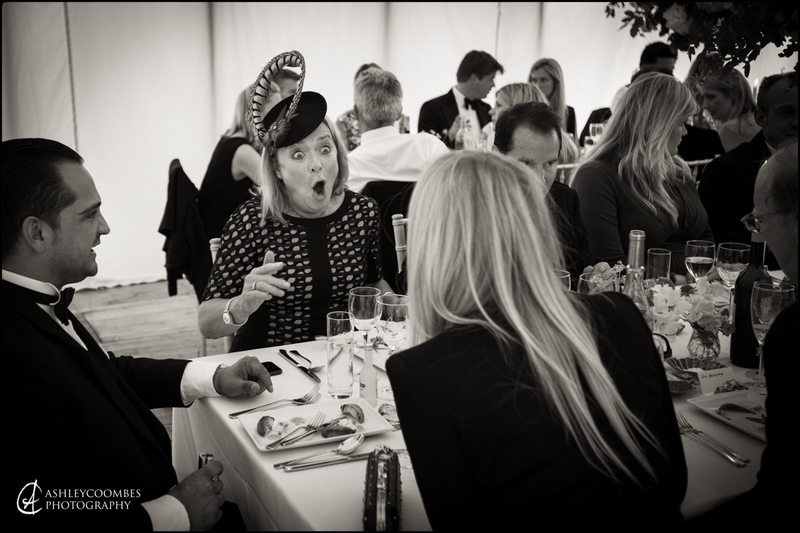 Be discrete and unobtrusive: Some photographers like to be the centre of attention but the most natural and authentic pictures are taken when the subject isn’t even conscious of the fact that they are being photographed. This doesn’t mean standing at a distance with a telephoto lens, it means getting close and blending in. I wear a suit and a tie to look like any other guest and I don’t weigh myself down with bulky equipment. Carry minimal equipment: To keep you and your guests as unaware of the camera as possible I carry the minimum of equipment. I have two small cameras with me at all times and I use small lenses which enable me to get close without making you feeling self-conscious or particularly aware of my presence. The idea that a photographer needs to be bristling with camera bodies, lens pouches, safari jackets and camera bags isn’t true for a photo journalist. It’s the eye of the photographer that creates the picture not the camera – in the same way it’s the skill of the chef that creates a beautiful soufflé, not the oven! Don’t use flash: A flash popping every few minutes will draw everybody’s attention to the presence of the photographer without fail. The flash will also kill the atmosphere and natural dimensions created by the available light and it is yet another piece of bulky equipment to get in the way. There are a few occasions when the use flash is essential, sometimes during the first dance but I keep it to a bare minimum. This picture to the right is one that illustrates the power of documenting a moment authentically without interference. 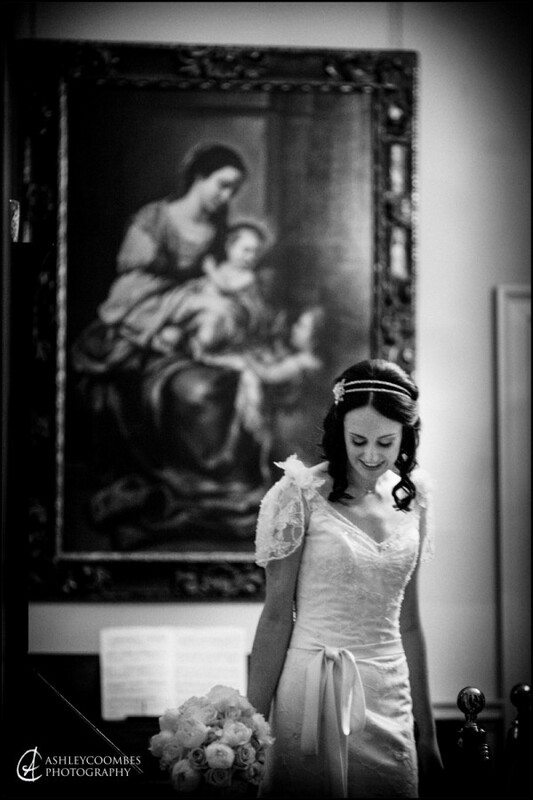 In an ante-room the bride gathers her thoughts before walking up the aisle. It’s time to compose herself, a moment she’s been working towards for a long time. She takes a deep breath and clears her head of all the noise of logistics and planning and focuses on the one thing that matters – her new husband waiting next door. It’s not a moment to be interrupted. When she revisits this picture in the years ahead she will remember how she felt waiting in that room, the expectation and the nerves. The moment won’t be lost because a photographer was fussing around her, arranging bridesmaids in the right order and making sure the bouquet was at the right angle. All aspects of the wedding contribute to the narrative. It’s not just the bride and groom that I concentrate my attention on during the day. The story of the day is of course built around all your key moments but it’s also about your family and friends and how they react and respond to you and each other. Pictures of your friends and family captured in unguarded moments will form a strong part of the narrative of your day, taking you right back to all the energy and emotion, warmth and love. 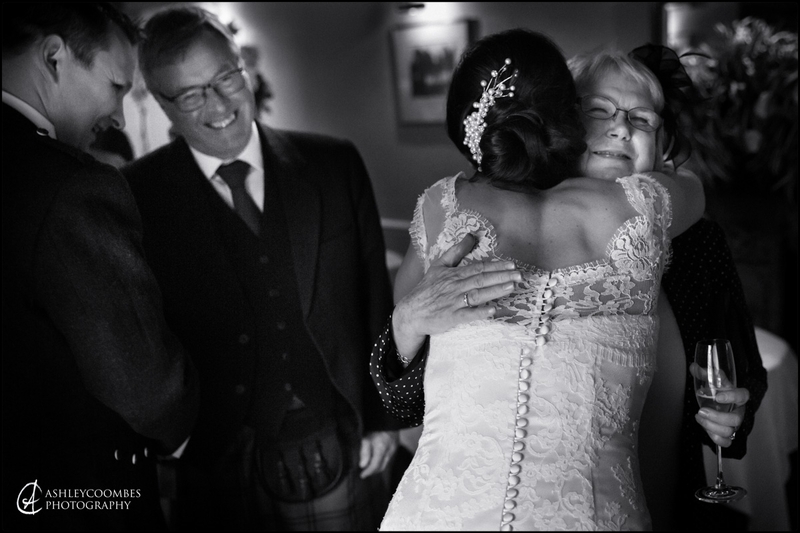 Having your favourite aunt in the formal family line ups is important but it won’t beat a picture which rekindles the memory of the joy and happiness you felt in that great big hug. “I been waiting for a chance to do this all day”. The receiving line. Kath and Rob’s wedding at Roman Camp. Can the young ones keep up? The different generations partying together. 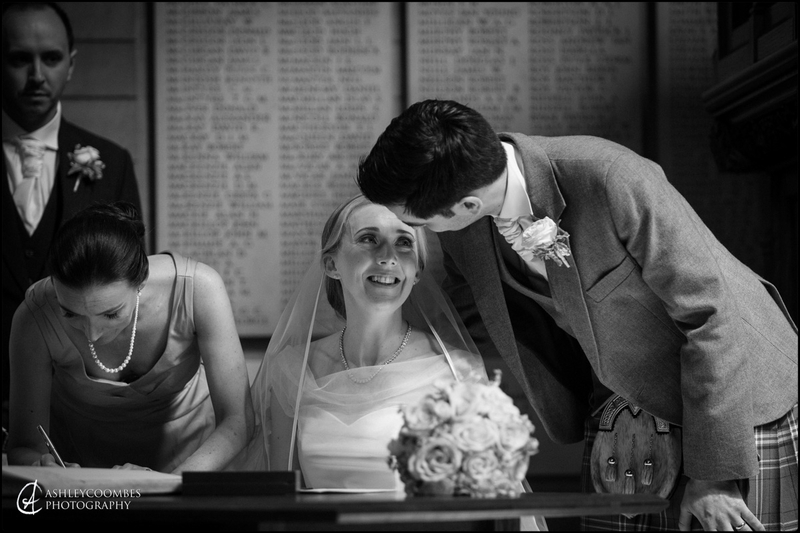 Faith and Chris, Thomas Morton Hall, Leith. Children at weddings with their uninhibited freedom are endlessly fascinating to me as a documentary wedding photographer. 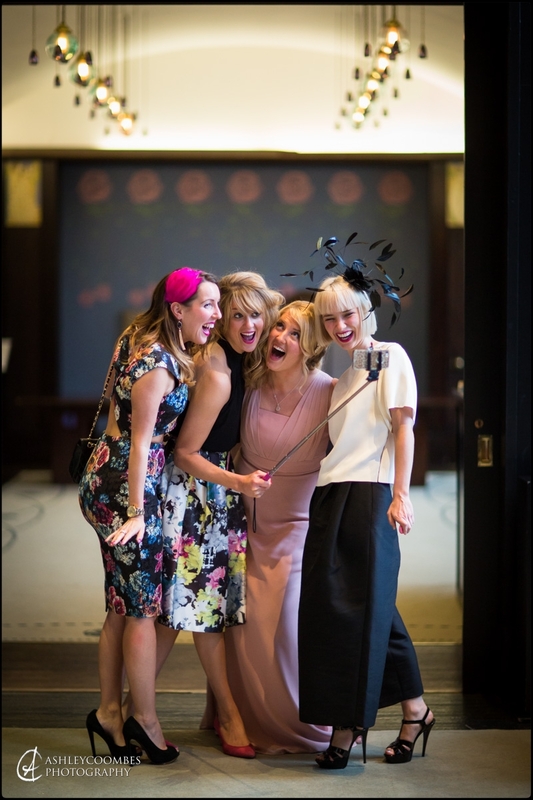 They rarely fail to grasp the gravitas of such an important day, acutely aware of the nerves and tension before the ceremony and then mirroring the release and euphoria afterwards by really letting their hair down! Have a look at the slide show below which I have made up of some of my favourite pictures of children and the part they play in the humanity of a wedding day. The story isn’t complete without setting the scene and recording the details. I always try to find a beautiful general view to act as a context shot in the narrative – it adds a sense of place and time. 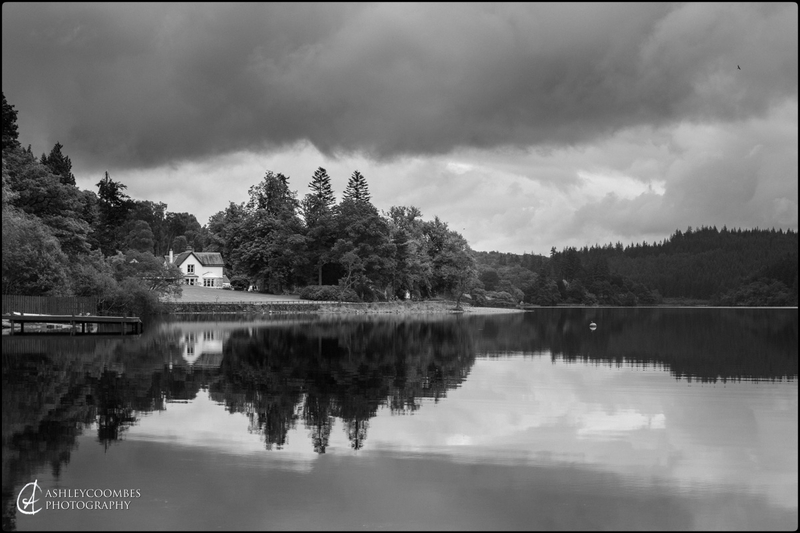 Flat calm on Loch Ard. Altskeith Country House Hotel. 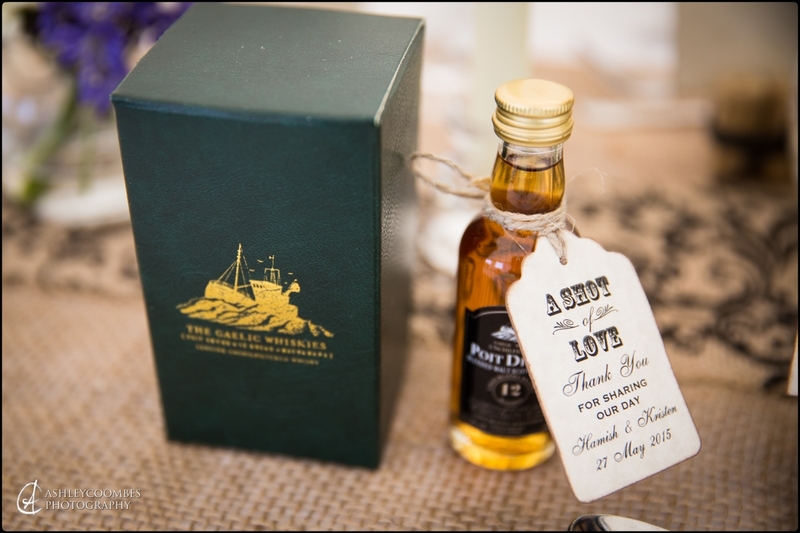 And recording details throughout the day will demonstrate all the care and thought you have put into every last detail – dresses, flowers, order of service, lighting, table decorations. 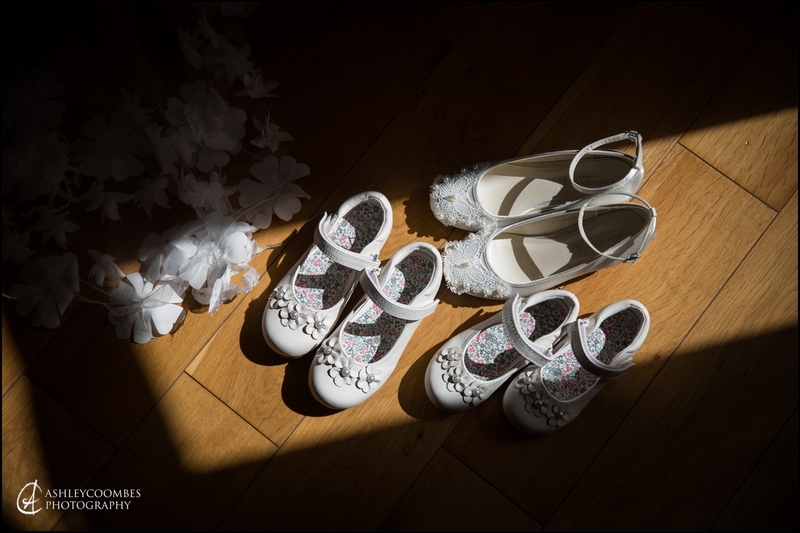 Another very important part of a documentary wedding photographer’s job is the work that goes into the pictures once all the excitement is over. The edit is a vital part of the creative process – choosing which pictures make the cut and how they will look is crucial in the telling of the story. Each picture needs to add something to the narrative and including a whole sequence of very similar images without analysing each one and identifying where it fits in the story will dilute the impact and drama. Flicking through picture after picture which show the same thing will get pretty boring. Then once the pictures are chosen I take each one through a specific process in imaging software to give them their style. This look will be in keeping with the honesty and integrity I have tried to instil in the content of the picture and therefore, I steer away from the over processed and unnatural look that many wedding photographers give their pictures – artificial layers of soft focus haze or glowing unnatural colours are often used to try to make a boring picture look more interesting. I love the quality and character of prints from the days of film and when doing my post production I try to emulate this style and stick to the old darkroom techniques allowing the grain and contrast to enhance the content. So I hope this piece has provided you with a bit of insight into what documentary wedding photography could mean for your wedding. 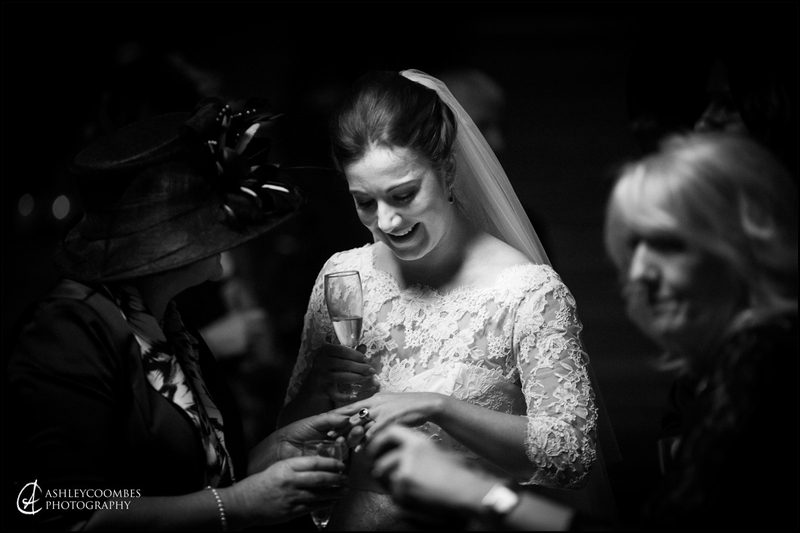 It’s all about reflecting the humanity which runs through every wedding and creating a narrative rich in detail and where the characters are captured and revealed in a way that takes you right back to the moment. 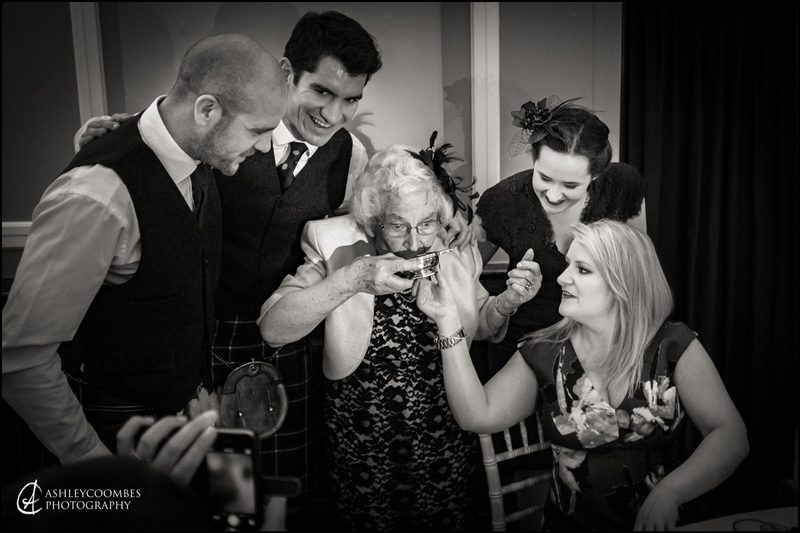 You’ll be immersed in the feelings and emotions all over again – the scent of the flowers in your bouquet when you first took the tissue paper off, or the touch of your father’s hand on your arm at the entrance to the church, or the way everyone laughed when Auntie Jess told Auntie Betty some home truths! The story created by a documentary wedding photographer will do much more than act as a way of showing you who was there and recording what they were wearing, it will make you remember how you connected with the ones you love and how it made you feel.